I posted this photo back on December 5t - the very last photo I posted here. I am sad to say that Oreo passed away (of this writing) 2 days ago. February 17th. I came home from work for lunch and found him on the floor in the family room...gone. I feel a strange sense of relief in that he did not suffer from a prolonged illness or anything. He was happy and healthy to his last day. Another strange thing was where he passed away. He would always run to that corner of the family room, stare at the ceiling, howl, and run away. He passed away in that very corner. I have only had a special bond with a few cats in my life. 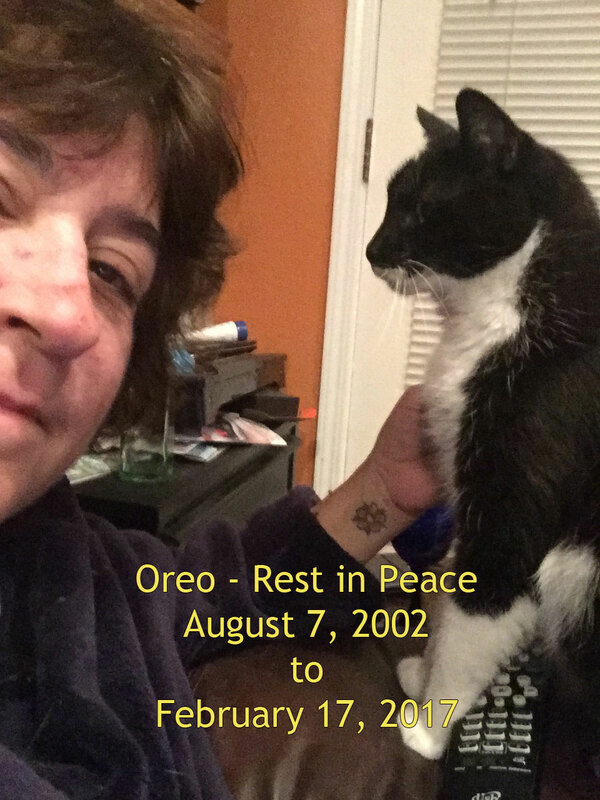 Yes, I've had many cats but there are only a few that touched my soul the way Oreo did. He is already deeply missed. I'm working on a slideshow tribute to him - just trying to find decent software to produce it on. Rest in peace, my little tuxedo'd friend! You will always be in my heart and soul.